Congratulations to Mary C. and Jessie H. and Joy M. (Facebook winner) for winning copies of Chicken Soup for the Soul: Here Comes the Bride. I will send out your copies in the mail this week! 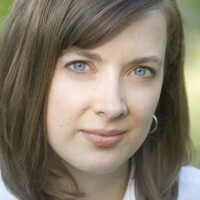 In her memoir Faith and Other Flat Tires, Searching for God on the Rough Road of Doubt (Zondervan), Andrea Palpant Dilley takes us through her journey of growing up as a missionary kid in Africa, to a culture-shocked return to the States, and through years of doubting her faith that resulted in eventually leaving church and the questions behind. A ndrea Palpant Dilley grew up in Kenya as the daughter of Quaker missionaries and spent the rest of her childhood in the Pacific Northwest. She studied English literature and writing at Whitworth University. 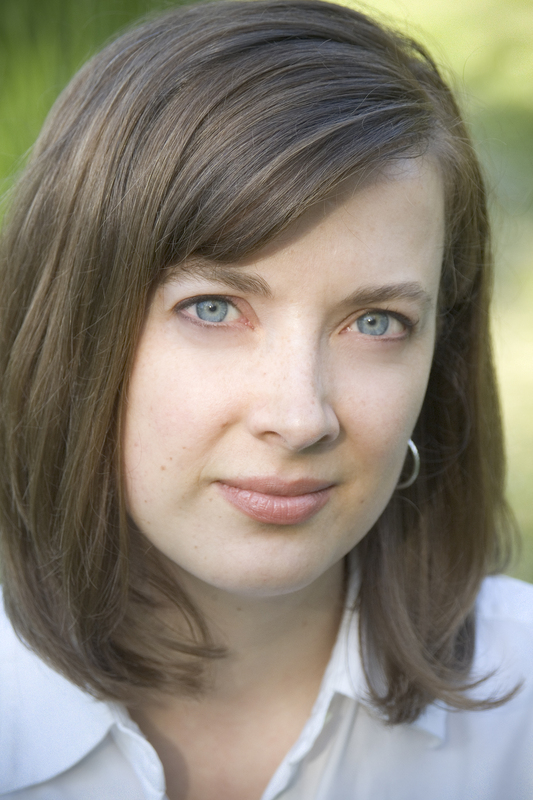 Her work as a writer has appeared in Rock and Sling, Geez, and Utne Reader, as well as the anthology Jesus Girls: True Tales of Growing Up Female and Evangelical. Her work as a documentary producer has aired nationally on American Public Television.She lives with her husband and daughter in Austin, Texas. I’ve enjoyed getting to know Andrea a little, and it’s my pleasure to introduce her to you through this interview. She is graciously giving away two signed copies of her memoir. Be sure you enter the give away below the interview! What prompted you to write Faith and Other Flat Tires? What did the writing process look like for you? After coming back to the church in my mid 20s, I felt a distinct sense of calling to write about my story. What I went through is a fairly common experience. A lot of us at some point in our lives struggle with faith and sometimes leave the church for a number of years. We have to leave the church (and sometimes faith) in order to find it again. I wanted to normalize that experience for others and tell my own story in a way that brought doubt back inside the space of the sanctuary and encouraged people to share their questions in community. You started with faith, went through a period of doubt, and ended back with faith. How is your faith different now than it was before you went through that time of doubt? I feel more at peace with my questions and more settled with faith. If my beliefs weaken on any given day, that’s okay. I still lay claim to the Christian faith and put myself in a position to ever so slowly, haltingly make my way deeper into the Christian pilgrimage. I’ve also learned how to relax and not fight so hard against faith. In simple terms, I would say I’ve learned how to lean into God’s grace. My beliefs and questions—although they matter a great deal—are not the epicenter of my faith or faith at large. God is. And ultimately, I have to believe in a God who’s humored by my confusion and loves me not in spite of but because of my honest doubts. You mention some of the parenting methods your mom and dad used – such as after dinner family time, certain taboos, their mantras (my favorite being “It’s good missionary training,”), and how they didn’t shelter you from pain while living as missionaries in Africa but rather brought you along. Now that you have started your own family, have you seen any of these things show up in your own parenting? As I look down my own parenting road, I’ll imitate the things they did well and try to correct the things that maybe didn’t go so well. For example, I’ll probably be less intense than they were and I’ll most likely try to protect my kid from some of the profound suffering that I saw as a child. Like any parent, I’m compensating for the perceived weaknesses of my parents, and someday my kid will try to compensate for the perceived weaknesses in my parenting. We’re not perfect parents, and that’s okay. My husband and I joke that we need to start not just a college fund for our kid but also a therapy fund. You tell some stories of your years as a missionary kid in Lugulu, Africa. Are you still in touch with any of the people from Lugulu? Do you hope one day to take your own family to see this piece of your history? One of my best friends from childhood, Cathy, married an American and now lives in Cleveland, Ohio. She’s my link to the past. A few years ago, I flew up to visit her along with my then 1-year-old daughter Madeline. For those three days, I felt a profound connection to my childhood, as if I had finally come home. Cathy made us Kenyan food. She spoke Swahili to Madeline. She sat on the back porch peeling potatoes for dinner the way I remember her mother peeling potatoes on the back porch in Lugulu. Although I would love to take my husband and kids to Kenya one day to visit other African friends that I stay in touch with via the internet, Cathy is my most accessible doorway into a past that’s otherwise inaccessible. Upon your return to church you said “This is what church should feel like – people of all kinds coming together to ask questions about what it means to be human….It was a place to ask the unanswerable questions and a place to be on sojourn.” It seems that at times, churches seek to have all the answers and leave no room for doubt. How can allowing room for people to wrestle through doubt be healthy, and what are some potential pitfalls? On the other hand, I do believe that it’s better to actively question faith—in a spirit of seeking the truth—than it is to passively accept the doctrines and enigmas of Christianity. Anger at God is healthier than indifference toward God. In that sense, I think it’s imperative that a church body make room for people struggling with faith and doubt. Without that space for deep questions, the church risks becoming flat, staid, and lifeless. What is the main thing you want readers to take away from Faith and Other Flat Tires? Most of us who’ve been raised in the church think about doubt and faith in opposition to each other. But I believe doubt can be a robust part of faith. In Mark 9:24, a man says to Jesus, “I believe, help my unbelief.” Flannery O’Connor calls this the foundation prayer of faith. She’s not alone in her view. Look at Job, Lamentations, the Psalms. Look at Mother Teresa and other great saints of Christian history who went through episodes of the so-called “dark night of the soul.” Doubt can be a very health, soul-searching, truth-seeking part of faith experience. As readers respond to my book, I hope they come to this liberating conclusion: that their doubts belong inside faith and inside the sanctuary. I believe God welcomes our struggle and honors our honesty. Many thanks to Andrea for sharing her story with us! You can enter the give away for her book below. You can also purchase a copy of Faith and Other Flat Tires: Searching for God on the Rough Road of Doubt on Amazon, or at your local bookstore. I would also LOVE a copy of this book…looks right up my alley! What a great discussion…and interview. Andrea has been fun to get to know a little! That step from our parents beliefs to our own can be a hard messy one that’s for sure! So, so true Jessie! I appreciated how Andrea always handled her childhood and her upbringing with respect in the book. Thanks for this awesome interview! As a writer & lover of books, memoirs & biographies are probably my fave genres because of their authentic journey to unveil someone’s soul. Good memoirs always leave such an impact and the struggle of ‘fighting the good fight’ is so real. Hope to win & look forward to reading Dilley’s story.